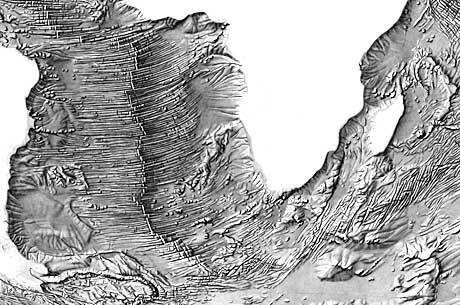 It is often easier to combine multiple shaded relief images as a final product instead of drawing one large master copy. 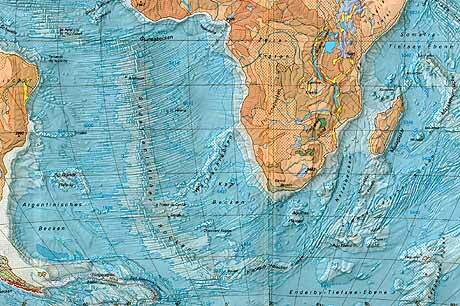 The map below that combines ocean bottom and terrestrial shaded relief illustrates this approach. Ocean floor relief (detail) by Regula Spiess, made for the © Schweizer Weltatlas. Printed version of the ocean floor relief (detail) combined with thematic colours, original scale 1:55 million, © Schweizer Weltatlas, edition 1997.